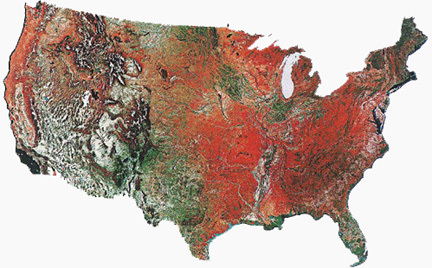 Welcome to the home page of satellite images & maps of the United States. 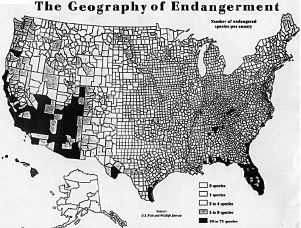 While browsing, you will find connections to other images or maps of use to you in Environmental History, or other courses about the ecological conditions of the country. 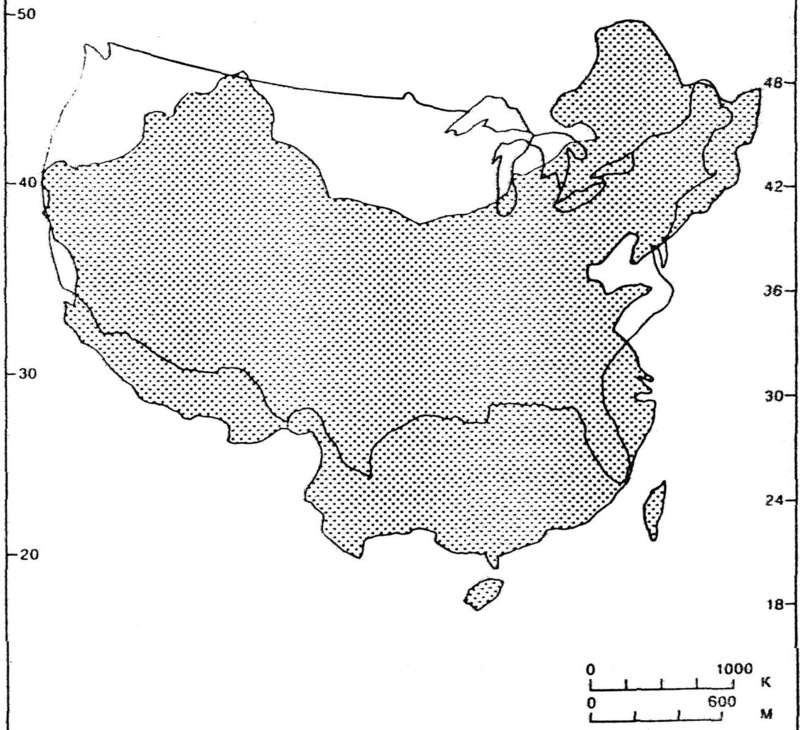 Comparable sizes of China and the United States superimposed with equivalent latitudes. 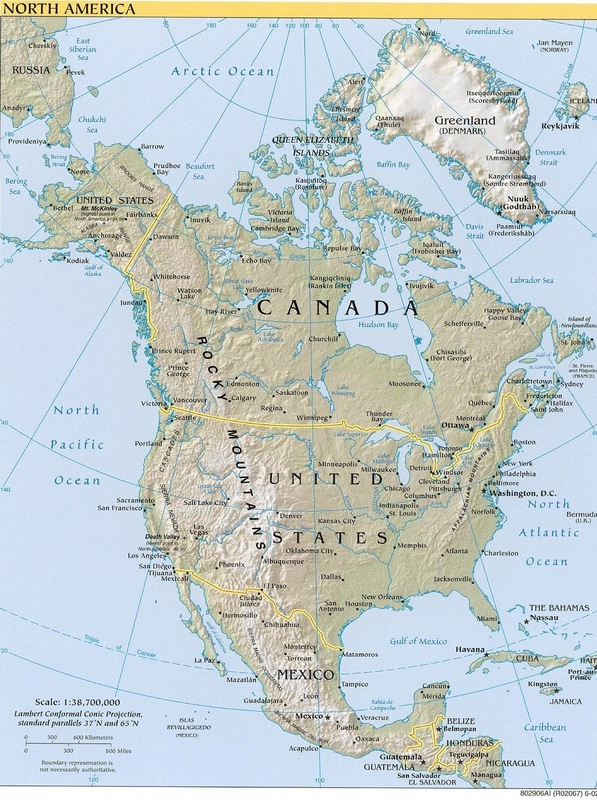 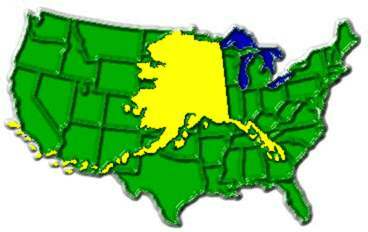 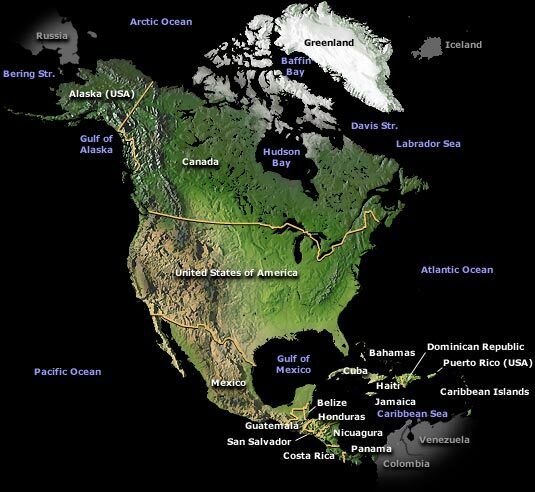 Comparable sizes & extent of Alaska and the rest of the US. 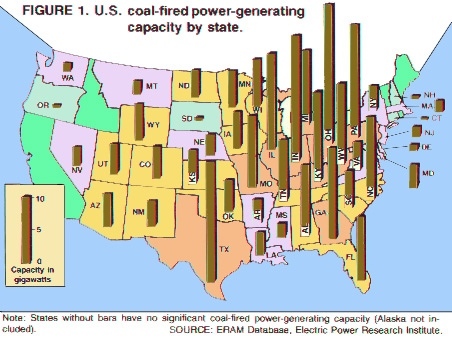 Coal burning for electricity requires significant amounts of water. 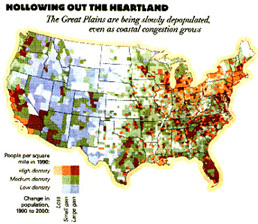 Water conservation became a priority in the nation in 1901. 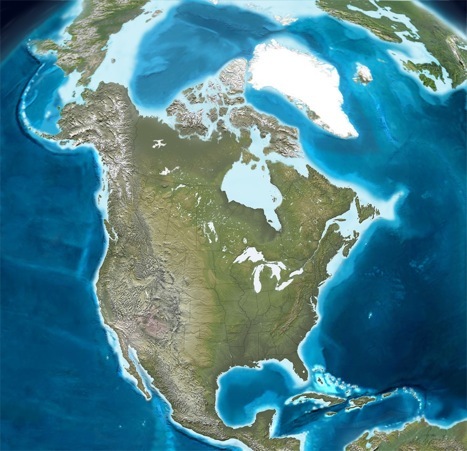 From the Encyclopedia Britannica one can see the equidistant lines of location on the surface of the Earth.